The popularity of dog agility is growing and growing! Our four pieces of small dog agility equipment from Rosewood are made from a soft but ridged foam board and can be assembled in a matter of seconds. They even come in their own clear bag for carrying and storage. The height of the hurdle and hoop can be adjusted to suit different sizes and abilities. This equipment is perfect from garden, park or even indoors. Sized to suit most small to medium sized dogs and even rabbits. 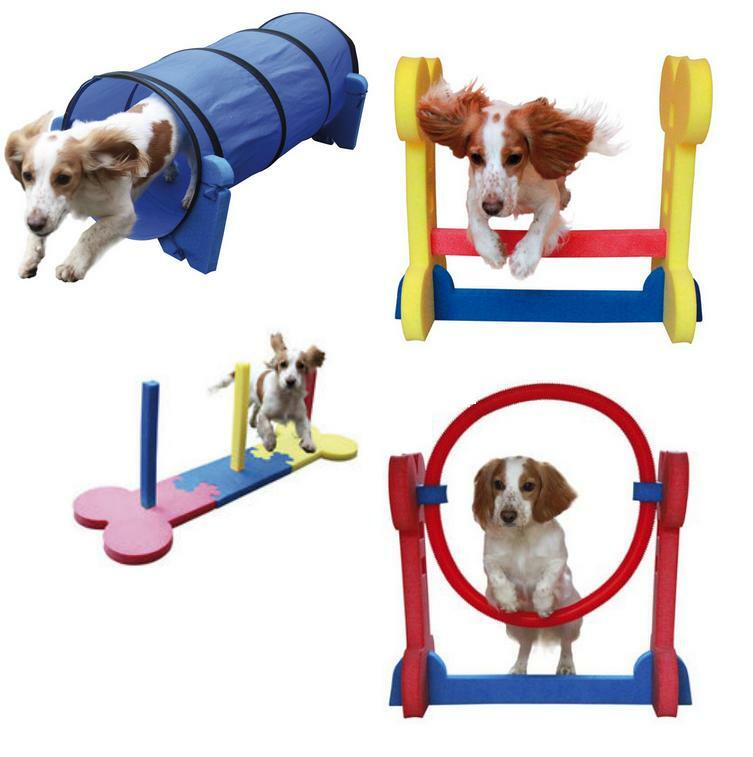 There are currently no questions for Rosewood Small Dog Agility Toys - be the first to ask one!